With The Seahorse coming up for its 2nd birthday, I thought it was time to catch up with Mitch Tonks to see what’s new and check out his plans for the future. We met up for tea at the Royal Castle after a lunchtime service for 42 – not bad for January. In the past year or so, Mitch has filmed a telly series with Matt Dawson, opened Rockfish Grill in Bristol, written a book on fish and the local fishing industry, become involved in the redevelopment of Brixham Fish Quay and brought down a regular supply of foodie friends to cook or host evenings at the Seahorse. Last year’s visitors included food-legend Fergus Henderson, Greg Wallace, Matt Dawson and Mark Hix; bookings this year so far include Valentine Warner, Xanthe Clay, Henry Dimbleby and Neil Haydock of Fifteen Cornwall. As an accountant turned fishmonger who taught himself to cook, Mitch wouldn’t call himself a celebrity chef. From building a business in London, his friends include renowned chefs, TV presenters and food writers. He rejoices in others’ success and has invited these friends down to Dartmouth for evenings at the Seahorse. He says they like to come to get out of London, visit Dartmouth, enjoy some food and wine and spend time together – just like any group of friends except he shares his with a restaurant full of guests. 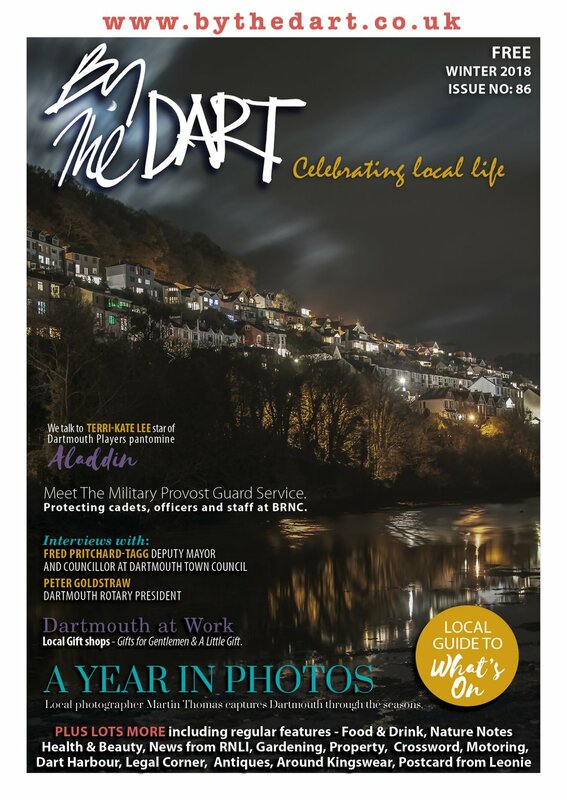 Part of his vision is for Dartmouth, Brixham and this area of the south-west coastline to become renowned for the best fish and seafood in the world. He is working with the redevelopment of the Brixham fish quay however he sees this as a longterm community project. When asked if he will abandon Dartmouth for Brixham once it is up and running, the answer is a definite no. 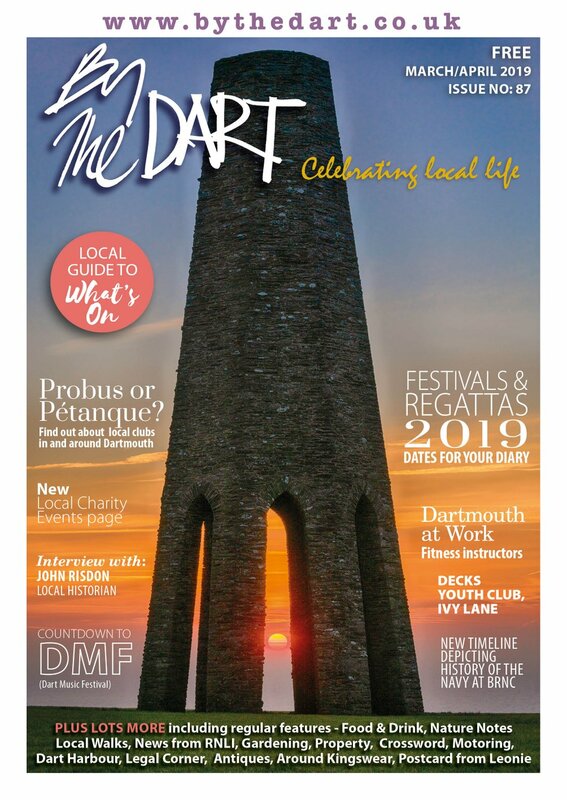 Tonks feels part of the Dartmouth community and one of his joys at being here is a place where people really appreciate its beauty and are happy to welcome others into the town. 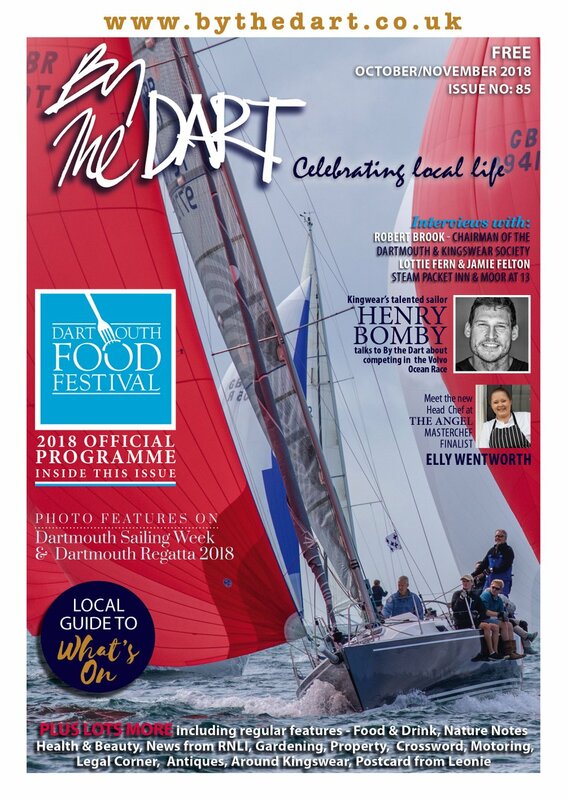 He is happy to give his time to and be involved with Dartmouth Caring and the Dartmouth Food Festival of which he is hugely supportive, wanting people to visit and enjoy the great food of all kinds along with the rest of us who live here. The Seahorse and Rockfish team is very important to Mitch and to the company’s success. New members have to commit to his vision (of the best seafood restaurants in the world) as they must communicate that to customers; if they won’t sign up to it, he needs to replace them with more enthusiasm. The catering trade is notoriously transient however the Seahorse and Rockfish crews include many who have been with Tonks for some time. Business partner Matt Prowse runs the Seahorse on a day-to-day basis and has worked with Mitch for 14 years; Mark Ely, always warm and welcoming at front of house and known to burst into song at the drop of a hat, is an old school friend; and Mel, also front of house, is married to another school friend and has worked with Mitch for 5 years. Rockfish has a younger team; still incredibly knowledgeable and enthusiastic with an attention to detail and a warm and welcoming manner. He is convinced that by giving them the training and trusting them to do a good job, they will succeed. Mitch’s eldest son is now working at Rockfish - part of Tonks’ vision of a true family restaurant where in his old age, he can sit in the corner with a glass of Prosecco spinning tales to anyone who cares to listen while the next generation do the work. It’s interesting to eat in the Seahorse or Rockfish and watch the action in their open plan kitchens – the atmosphere is calm with a distinct lack of shouting. Mitch believes that yes, they are there to work hard but it’s got to be enjoyable for everyone and even if things go badly, really there’s no point kicking off – you just need to sort it out. At the start of the venture, the challenge was to keep going long enough for word of mouth to bring customers in. Now they have guests travelling from far and wide as well as a regular crowd of locals who are part of the Seahorse family, celebrating events or just popping in for lunch. The popularity is such that you shouldn’t worry if you can’t get in without a booking; they’ve had to turn away Robbie Coltrane and Rik Mayell as well. Mitch splits his time between Bristol and Dartmouth with Sunday and Monday reserved for family. He spends Tuesday morning writing and talking with the restaurants, the rest of Tuesday and Wednesday in Rockfish, drives home after service on Wednesday night and spends the rest of the week at the Seahorse. Having spent his Fishworks years rushing around the country and building a business, he sees this as a much quieter, more structured life. This year he has kept his media commitments to a minimum and has concentrated on doing what he says he is here to do – building up the Seahorse’s reputation by cooking in the restaurant. Outside work, one of his great joys is sailing and he has set himself the challenge of sailing his Contessa 26 across the Channel single-handed. Having met up with Kingswear teenager Henry Bomby and discovered their shared passion for sailing, Mitch is now the major sponsor in Henry’s Round Britain Sailing Challenge and Henry’s Contessa has been renamed the Seahorse. Fundraising plans are afoot and having come to sailing yachts later in life, Mitch is learning much from Henry who grew up on them. Mitch doesn’t describe himself as driven (although I’m thinking he needs to get more familiar with the concept of Devon Time), explaining he wants to create something of lasting value for himself, his team and for the area which he has taken so much to his heart. He remains delighted at the welcome he has received in both Brixham and Dartmouth, admitting to nerves on moving down here; however he now feels completely at home whether he’s enjoying a drink with guests at the restaurant or a cup of tea at the Seaman’s Mission.